Meet Preston, a loving 5 year old boy that was diagnosed with autism when he was 20 months old. This is Preston’s third year participating in Faces of Autism and I am so amazed at the progress he has made over the years. Click HERE to read last year’s story on Preston. In the past year Preston has started using his iPad for communication and he has been successful with it. Preston will be getting a service dog in the very near future, his parent’s are very excited to see how this helps him. Preston’s parents have a group on Facebook where they share information about him, autism, and they unique lifestyle families of different need children have. You can check it out here and join if you would like to follow Preston’s Journey. Preston is very loving and kind. He is stubborn, but sometimes it is a good thing. Preston is persistent and his memory is fantastic. He remembers routes and places, even if they have only been there once. Preston loves to be outside. He loves running, climbing, jumping, and swinging. He enjoys the pool, the playground and sandboxes. 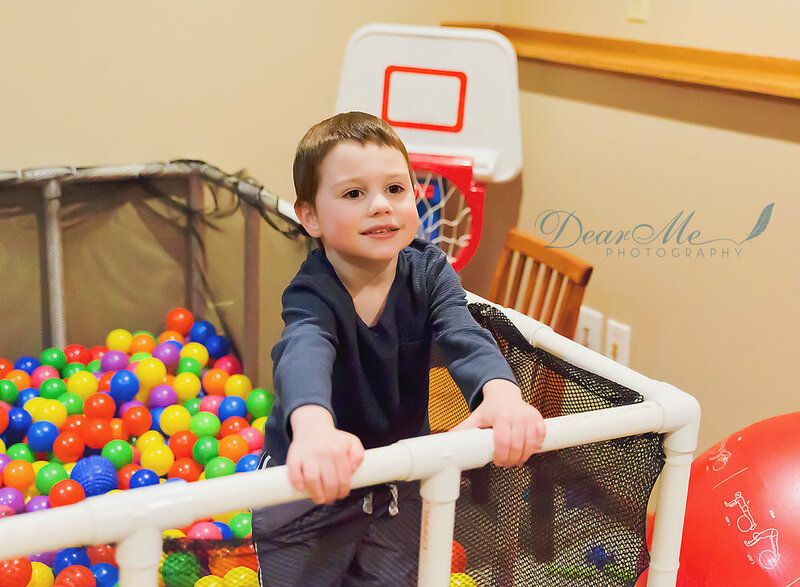 He likes playing in his indoor ball pit and watching movies. Preston also likes to watch videos on YouTube and loves playing tag with his little brother. Preston struggles with communication and is nonverbal. With communication technology such as the Proloquo app on the iPad, it has improved and will get better as he becomes more proficient at using it. Preston has a hard time being patient and with change. If you want to support an individual with autism and their family, Preston’s parents advise you to be understanding and open. Ask questions, it’s the only way to know how to interact or to learn. You don’t have to be sorry, just be present. Please don’t be afraid of autism or autistic children. There is a learning curve to understanding and communication, but if you’re willing to take the time to listen and learn, that speaks volumes.